Click here to read the full PDF. Florida’s unique geographic position has been its greatest blessing, and simultaneously somewhat of a curse. Its sunshine and temperate climate has made it a destination for tourists and settlers alike, and its proximity to Latin America has served as a gateway for trade, business, and economic development. These factors, in addition to its low-taxes and regulatory environment, have helped Florida become one of the fastest-growing states. Indeed, in 2014 Florida surpassed New York to become the third-most-populous state in the nation. But living in paradise comes at a cost. Florida is a low-lying tropical peninsula stretching 500 miles into the warmest, most hurricane-prone waters on earth. So while Florida’s unique placement on the map has encouraged the flow of people and capital into the state, the resulting concentration of wealth and population in congested areas at high risk of storms and flooding makes it more costly to purchase property and auto insurance than in many other states, all things being equal. Except in Florida, all things are not equal. Laws that encourage human behavior and cost drivers disconnected from the state’s inherent risk factors continue to propel many of these insurance rate increases. After the catastrophic 2004 and 2005 hurricane seasons, no one could have predicted that the state would be granted an unprecedented, decade-long reprieve by Mother Nature, while simultaneously enjoying the most favorable global reinsurance and catastrophe market in memory. This remarkable streak of combined luck allowed the state’s insurance market to rebound. Nevertheless, well into that hurricane-free decade, property-insurance premiums kept rising—and are still on the rise in many parts of Florida, including areas unscathed by Hurricanes Hermine and Matthew in 2016, and Hurricane Irma in 2017. Consumers have legitimate concerns when they ask why this is the case, especially during such a long and unprecedented dry spell. 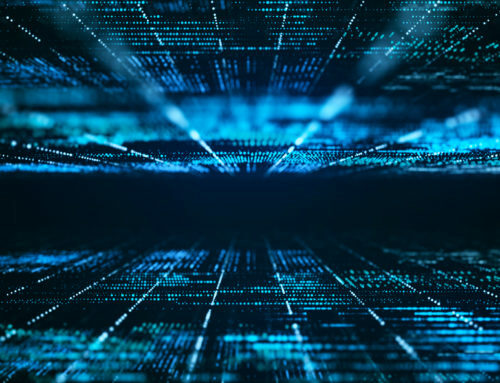 According to the New York-based Insurance Information Institute, non-catastrophe claims have increased roughly 17 percent per year over the past decade, and are growing rapidly both in frequency and in severity. Over-litigation encouraged by loopholes and court interpretations of Florida law appears to be the culprit. But abuse and its consequent rate increases are not confined to the property insurance sector. System-gaming and litigation have instigated auto insurance rate spikes that have outpaced the steady rise in auto accidents caused by population increases, changes in driving behavior, and other inescapable risk factors. Although the property and auto insurance sectors are completely different as they relate to coverage, risk factors, actuarial methodologies, and overall business models, the root causes of their over-litigation and consequent rate increases are the same: the state’s lopsided “bad faith” law, and the one-way attorney fee statute that has been misapplied and consequently abused. For years, lawmakers have been grappling with these issues and, unsurprisingly, debates in Tallahassee have pitted the insurance industry against the trial lawyer lobby with consumers caught in the middle. The following pages describe how the Florida Legislature could bring clarity and close loopholes in Florida law to restrain cost drivers that are needlessly inflating rates. This analysis outlines viable, commonsense reforms that could reasonably be implemented in regular legislative sessions and hopefully begin to make a meaningful difference in the very near future. ASSIGNMENT OF BENEFITS – OR DETRIMENTS? No insurance rate increases have been felt harder by consumers in recent years than in Florida’s property insurance sector. Despite a decade free of hurricanes between 2006 and 2016 and historically low reinsurance rates, Floridians in many parts of the state were and are still being slammed with ever-increasing rates, be they from private insurers or state-run Citizens Property Insurance Corp. (Citizens). These rate increases are a result of non-catastrophe claims, mainly involving water damage from broken pipes. According to the most recent data furnished by the Office of Insurance Regulation (OIR), the frequency of water claims between 2015 and halfway through 2017 increased 44.1 percent, which is nearly triple the 14.2 percent average annual increase contained in the previous report. According to the OIR’s 2018 report, these increases are happening across the entire state, but they are most concentrated along Southeast Florida and the Tampa Bay region. An assignment of benefits (AOB) allows a third party – such as a contractor, a water-extraction company or other vendor – to stand in the place of the insured and assume the policyholder’s benefits by collecting payments directly from the insurance company for a covered loss. The policyholder also transfers to the third party the right to negotiate and adjust the claim in question. Hence, no payments are made directly to the policyholder. Most health insurance and personal injury protection (PIP) auto policies function under this arrangement, which allows health care providers to collect insurance payments directly for covered medical services. In recent years, however, AOBs have become more common in property insurance claims. Florida law allows insurers to restrict or prohibit pre-loss assignments without the insurance company’s consent. However, the courts have held that such prohibitions cannot prevent a policyholder from undertaking post-loss assignments. Once a loss occurs, the policyholder has the right to assign his or her policy benefits for a specific loss, including the benefit in Florida law that allows policyholders to sue an insurance company and then have their attorney fees covered by the insurer, also known as the “one-way attorney fees” provision. 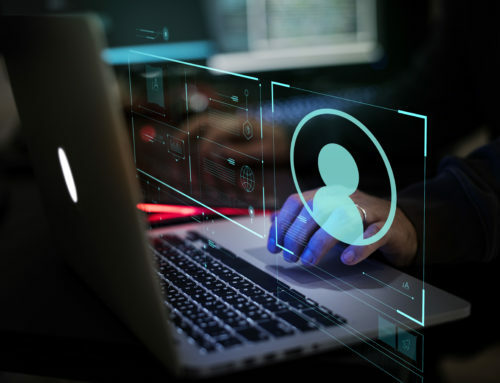 Although most vendors conduct themselves professionally, there is overwhelming anecdotal evidence that abuse of these assignments is widespread, contributing to what has become an emerging cost driver that results in higher rates for consumers. For example, unscrupulous contractors may require policyholders to sign over benefits as a condition to begin repairs or perform other work. In water-related claims, homeowners desperate to prevent further damage and get their homes dried before mold sets in may hastily or reluctantly agree to sign over their rights to water-extraction companies without reading or knowing what they have agreed to. Once a policyholder has surrendered control of the claim, a contractor essentially commandeers the policy, bills the insurer directly for payment, and can even file a lawsuit for bad faith if that payment is not rendered promptly. And the homeowner has no say in the matter. 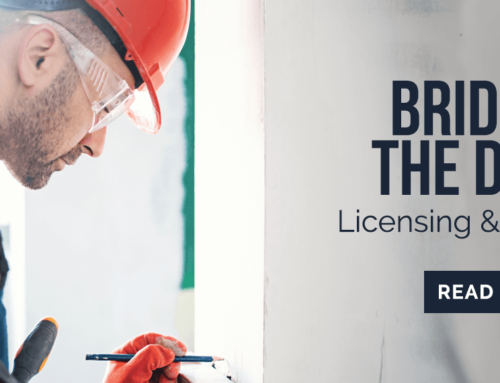 With the homeowner out of the picture and no longer in a position to negotiate repair costs, crooked contractors oftentimes inflate their bills and/or charge for repairs that were unnecessary or unrelated to the specific loss. In more and more cases, contractors are partnering with trial lawyers as a matter of practice, availing themselves of bad-faith rules that were designed with ordinary consumers in mind. 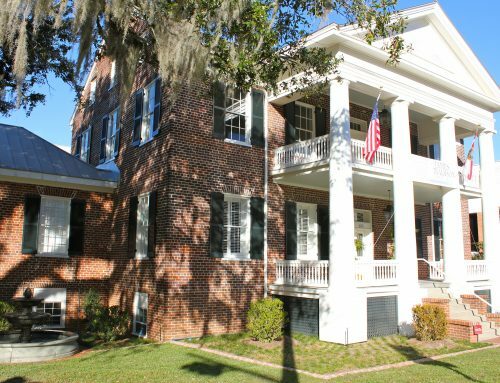 A specific case cited by Florida’s former state-appointed insurance consumer advocate included billings that totaled more than the house was worth. Claims utilizing an AOB have a higher severity than claims filed without an AOB by at least 85 percent. Combining the higher severity of claims attached to AOB with the over 44 percent increase in water claims makes the increase in insured losses from water claims staggering. Because private insurers are required by law to charge actuarially-sound rates, while state-run Citizens is bound by a 10 percent annual cap on rate increases, there is legitimate concern that policies may begin migrating back to Citizens after years of successful depopulation efforts. Indeed, some private insurers have already begun denying policy renewals and refusing to write new ones in areas experiencing high volumes of water claims. Citizens has also had to increase rates in response to water losses driven by AOB abuse. In 2015, Barry Gilway, Citizens’ president and chief executive officer, testified that “…water losses are THE major reason Citizens is seeking rate hikes for the coming year, especially in South Florida. Were it not for water loss, even South Florida policyholders would see rate reductions” (emphasis his). Compounding the challenge, AOB-related litigation is also rising—exponentially. Such lawsuits were rare in Florida a little over 10 years ago. Between 2004 and 2005, there were just slightly more than 9,400 assignment-of-benefits related suits filed statewide. In subsequent years, these lawsuits have multiplied by nearly 1,000 percent, with 92,000 such suits filed between 2013 and 2014 alone. Indeed, since 2000, there has been a 90,000 percent increase in AOB litigation. Among the most striking evidence of abuse is the prevalence of vendors hiring lawyers before they have even filed a claim, much less given the insurance company a chance to settle it. According to Citizens, eight percent of the lawsuits filed against it in 2009 were filed at first notice of loss; by 2014, the figure had jumped to 24 percent. Demotech Inc. — a national ratings agency with an extensive focus on Florida insurers — notes that while assignments of benefits are relatively common nationwide, the extent of abusive behavior and litigation truly is unique to Florida, where the average costs of assigned benefit claims are three times as great as other claims. In 2015, Demotech warned that if left unaddressed, the issue may prompt the downgrade of insurance carriers in Florida. In February 2017, it suspended its ratings criteria for Florida-based insurance companies and placed 10-15 Florida insurers on notice for potential downgrades citing the AOB crisis. A month later, Demotech announced it partially downgraded only one company after other insurers heeded the agency’s warnings and shored up their reserves. Indeed, even reinsurers are taking note of this issue due to valid concerns that when a major hurricane strikes, they will be on the hook for artificially-inflated claims stemming from assignment-of-benefits abuse and excess litigation. This is a signal that if this issue is not resolved, it may eventually be reflected in future reinsurance pricing, causing further hikes in primary insurance rates. WHAT’S DRIVING AUTO INSURANCE RATES? Home is not the only place Floridians are feeling the sting of insurance rate increases. Auto policies are on the rise as well, and the culprits are essentially the same. Florida is one of only ten states that has a no-fault system of auto insurance commonly known as “personal injury protection” (PIP). Under this system enacted almost 50 years ago, Florida drivers are required to carry $10,000 of PIP coverage and at least $10,000 in property damage coverage. The intent behind this requirement was to avail drivers and their passengers of up to $10,000 in medical coverage regardless of fault to quickly resolve claims and avoid litigation. Despite its intentions, Florida’s PIP system has become plagued with growing fraud, litigation, and consequent auto insurance rate increases. In order to tackle these abuses and put a tourniquet on these rate increases, Florida lawmakers passed HB 119 in 2012 with the expressed goal of passing expected savings on to consumers. The reforms essentially added restrictions, prohibitions, and deadlines to qualify for reimbursement under PIP to rein in rampant fraud. For example, injured motorists are now required to receive initial care within 14 days of an auto accident, and the medical services need to be ordered, provided, or supervised by licensed physicians or rendered in hospitals, facilities owned by a hospital, or licensed emergency transportation and treatment providers. The full $10,000 benefit is reserved only for acute medical emergencies suffered as a result of the accident; if not, the medical benefit is reduced to $2,500 for less serious injuries. Massage and acupuncture are no longer eligible for PIP reimbursement. The 2012 reforms also instituted medical fee limits for PIP reimbursement that are largely tied to Medicare and worker’s compensation fee schedules. The law also prohibited the application of attorney fee multipliers in no-fault cases and required attorney fees to comply with reasonable standards to avoid the artificial inflation of legal charges. The 2012 PIP reforms seemed to have worked initially. According to a 2014 press release by the Office of Insurance Regulation, PIP rates decreased by roughly 13.5 percent after the law took effect. However, because the PIP portion accounts for only about 25 percent of the total cost of a standard auto insurance policy, consumers experienced roughly a three to four percent average reduction in their overall auto insurance premiums. However, the benefits were short-lived. The rate reductions in the first two years after the reforms were quickly erased by subsequent premium increases. In 2015, PIP premiums rose by nearly 15 percent. And the increases have only accelerated. Between 2017 and early 2018 alone, PIP rates shot up a staggering 54 percent with costs increasing 35 percent faster than overall premiums since January 2017. Floridians are currently paying more than $1,250 yearly for auto policies on average, and the state is now in the top six costliest in the nation for auto insurance. Like the increases in property insurance discussed previously, there is no inherent risk factor that can justify the dramatic spike in auto insurance rates. These rate increases have far outpaced any surge in injury crashes that can be attributed to population increases, the rise in automobiles per capita, increased workforce participation, and the emergence of distracted drivers due to the proliferation of mobile devices. According to Florida’s Integrated Report Exchange System operated by the Department of Highway Safety and Motor Vehicles, injury crashes increased only four percent from 2015 to 2017 in the state, hardly a justification for the 54 percent spike in PIP rates in the same period. An even more staggering statistic is that over 60,000 PIP-related lawsuits were filed in 2017, representing an increase of almost 50 percent in one year. And therein lies the cause of PIP rate increases. Once again, the main culprits behind the explosion in litigation are Florida’s lopsided bad faith law and the one-way attorney fee statute. Because of the low policy limits in PIP claims, many unscrupulous attorneys and third-party claimants have resorted to setting up insurers into a condition of bad faith to convert a $10,000 claim into massive six or even seven-figure recoveries under the policy. A recent example could have serious implications for Florida’s insurance industry. In September, the Florida Supreme Court found that a jury was justified in its finding of bad faith against an auto insurer and upheld a multi-million dollar judgment against it after an appellate court reversed the jury’s award. The case stemmed from a fatal 2006 accident in which the plaintiff’s vehicle was covered by a $100,000 liability policy through GEICO. Despite the insurer’s attempts to settle the claim by sending the deceased man’s estate a check for the full $100,000 within nine days of the accident, the estate returned the check and instead filed a wrongful death lawsuit against the plaintiff arguing that GEICO had not provided a statement from the plaintiff that would have disclosed his assets. The plaintiff then sued for bad faith, despite GEICO fulfilling every obligation owed to its policyholder. The jury sided with the plaintiff and awarded him $9.2 million, which was reversed by the 4th District Court of Appeals. A sharply-divided Florida Supreme Court backed the jury’s determination and overruled the appellate court. Despite the insurer’s good faith attempts to settle the claim to the policy’s limits, it was sued for bad faith not because of any action it took or did not take, but because the claimant refused to accept payment. This case illustrates the need for the Florida Legislature to pass commonsense bad faith reforms that include codifying standards for claimants to act in good faith during the claims settlement process. The other factor contributing to the explosion of litigation is the element in Florida law that almost guarantees that a claimant’s attorney fees will be paid via the one-way attorney fee statute. As Demotech noted, the use of AOB is a relatively common mechanism of insurance, and is neither harmful nor nefarious in its own right. What sets Florida apart is the abusive behavior and hyperlitigation incentivized by the liberal application and exploitation of two elements in Florida law: provisions related to bad faith and one-way attorney fees. Florida’s bad faith statute outlines an insurer’s responsibilities to act in good faith to settle a claim, but is silent about the claimant’s responsibilities to likewise act in good faith when dealing with an insurer to settle a claim. This one-sided application can reasonably create a situation where a claimant—be it a policyholder or a third party vendor to whom benefits were assigned—can refuse to cooperate with the claims settlement process thereby “setting up” an insurer into a condition of bad faith despite an insurer’s clear willingness to settle the claim in a timely, good faith manner. The recent Supreme Court case involving GEICO (cited above) is one such example. There is also anecdotal evidence to suggest that some vendors—be they contractors in property insurance claims or healthcare providers in PIP claims—who regularly partner with trial attorneys have also done this as a way to ultimately collect significant amounts since bad faith claims are not subject to policy limits. Indeed, a recent report estimated that abuse of Florida’s third-party bad faith rules added an average $106 to every insurance policy in 2017, resulting in a total of $7.6 billion in additional claim cost over 12 years. Despite these staggering figures, the main culprit behind the exponential spike in insurance litigation remains Florida’s one-way attorney fee provision. State law permits plaintiffs’ attorneys to collect payment for their legal fees from the defendant insurer if they win, but does not allow insurers to do the same if they prevail. The law was intended to create balance between aggrieved consumers who usually cannot afford high-priced legal representation and powerful insurance companies who can. Unfortunately, it appears to have provided sufficient incentive for the birth of a veritable cottage industry of vendors and trial lawyers who “sue first and ask questions later,” knowing they will be owed attorney fees even if the insurer does not fight the claim. Indeed, the root cause of property insurance and auto insurance rate increases is the combination of AOB, the unbalanced application of bad faith rules, and Florida’s one-way attorney fee statute, all of which are not individually dangerous or nefarious, but occurring together have incentivized abuse and litigation with utterly disastrous consequences for consumers and the state’s insurance market. Legislation has been filed in recent sessions that would allow insurers to prohibit policyholders from entering into assignment-of-benefits agreements altogether, as well as including other reform proposals establishing modest AOB guidelines. The bills, or their assignment-of-benefits provisions, all ultimately failed to pass. In a free market, an individual’s right to enter into contractual relationships should be preserved. However, the original insurance policy also is a contract entered by the insurer and the insured. When benefits are assigned to a third party, the conditions for payment also should be assumed. That is, any third party to whom benefits are assigned should be bound by the original policy requirements for recovery and for allowing and cooperating with the insurer to conduct its investigation, such as requiring the third party to provide proof of loss, supporting documentation and to submit to examination under oath, if necessary. Additionally, before executing an assignment, contractors should be required to provide an itemized written estimate to policyholders for their review and signature, and submit the signed estimate, assignment of benefits, and claim to the insurance company within a statutorily-specified time. Policyholders should also be afforded an opt-out period to rescind an assignment of benefits. This would address situations where a policyholder may have felt compelled into signing over their insurance benefits under duress or pressure by a vendor or the stressful circumstances surrounding a claim. In order to reduce unnecessary litigation, vendors should be required to submit their claims to insurers within a statutorily-specified number of days before filing a lawsuit on an insurance policy. A 60-day period would give the insurer reasonable time to investigate the claim, request additional information, if necessary, and have it processed before lawyers need to get involved. The reforms made to Florida’s no-fault auto insurance system in 2012 seemed to have tackled much of the PIP fraud happening on the ground, but did little to discourage the abuse in courtrooms that is driving today’s rate increases. Legislation has been filed to repeal PIP altogether and replace it with a mandatory bodily injury liability (BI) system with minimum coverage amounts and a medical payments (med-pay) coverage mandate. Without legal reforms, however, the litigation and its costs would simply be transferred to a tort system with higher policy limits and may eventually result in a solution in search of an even costlier problem. In order for a PIP repeal to be successful, there must be significant legal reforms, as discussed later in the section. A med-pay mandate would essentially result in a “PIP-light” that would function almost identically to the current no-fault system. Med-pay can and should be an optional coverage that motorists may elect to purchase if, for example, they do not carry health insurance or to cover their annual health insurance deductible in case of an injury crash. Critics of this approach point to the inherent cost-shifting from auto insurers to health insurers, but given the managed care arrangements that health insurance companies operate under, there would be a significant reduction in overall costs. To further reduce cost drivers, insurers should be authorized to limit reimbursements for benefits payable from BI coverage through a fee schedule similar to the one established in the 2012 no-fault auto insurance reforms. And for claims that are litigated, juries should be presented with the amounts medical providers will actually accept (i.e., commercial insurance allowables or fee schedules) instead of billed amounts, which are always substantially greater than what insurers are contractually obligated to reimburse medical providers. Finally, and most importantly, in order to truly tackle the abuse and over-litigation in both property and auto insurance, there must be legal reform. First, bad faith should apply to both parties to a claim. Currently, the one-sided menace of a bad faith claim looming over one party creates an incentive for insurers to prematurely and reluctantly agree to potentially excessive settlements, which ultimately result in higher rates on consumers. Requiring both sides to act in good faith will deter unreasonable offers, demands and deadlines, and foster more productive negotiations. When a claimant makes a settlement demand, the insurer should have a reasonable time to accept, investigate, or reject the offer. Acting in bad faith to deliberately plunge a good faith actor into a state of delinquency against his own will should be penalized, not rewarded with a cash windfall. The one-way attorney fee statute as it relates to assigned-benefit disputes should be revisited. Existing law appears to be a catalyst for unnecessary litigation, providing ample incentives to file suit even in cases where a claim is unwarranted. Consumer access to prevailing party or “one-way” attorney fees should be preserved, but should not be extended to third-party vendors as a result of an assignment, especially when the policyholder has surrendered control of the policy. If a vendor’s grievance against an insurer has merit, there will be attorneys willing to take the case on a contingency-fee basis or through conventional payment. High insurance rates are appropriate when they reflect actual risks. Costs inherent to a particular industry or regional market may be impossible to remedy. 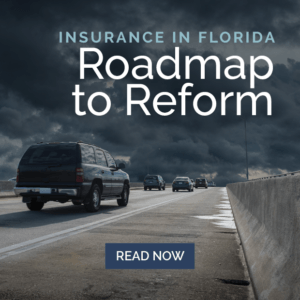 However, it is apparent that the rate increases Floridians are being faced with in both the property and auto insurance sectors stem from behavior by stakeholders exploiting vulnerabilities in the law. For the sixth year in a row, the Florida Legislature failed to tackle the growing assignment of benefits crisis that, if left unaddressed, is projected to further increase rates statewide by an average of almost 30 percent by 2022. The last major overhaul to the state’s auto insurance system in 2012 successfully tackled fraud, but did little to close loopholes in Florida law that encourage over-litigation over small claims. 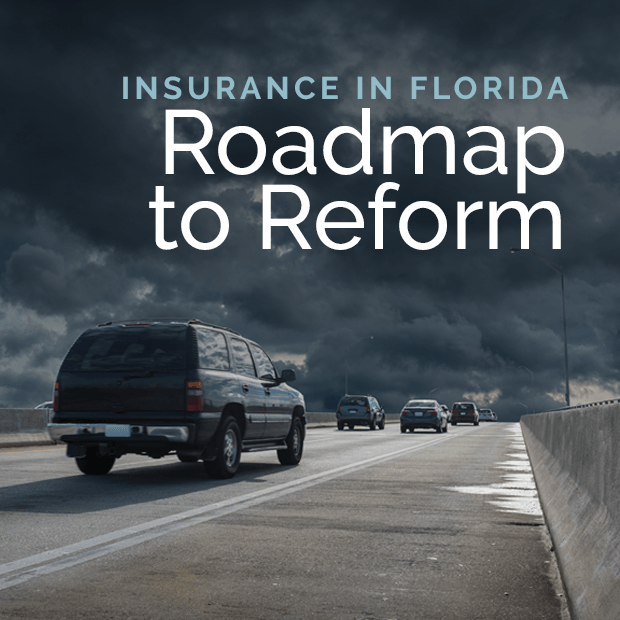 Repealing PIP and creating guidelines to curb AOB abuse may help Florida’s insurance market if done right, but only fundamental reforms to the state’s bad faith and one-way attorney fee laws will solve Florida’s current insurance crises once and for all. News Release, United States Census Bureau: “Florida Passes New York to Become Nation’s Third Most Populous State, Census Bureau Reports,” December 23, 2014 (https://www.census.gov/newsroom/press-releases/2014/cb14-232.html). Brent Kallestad, Associated Press: “No Big Storms, but Property Insurance Costs Rising,” January 2, 2013 (http://www.weather.com/news/news/property-insurance-rising-20130102). Florida Office of Insurance Regulation: “Report of the 2017 Assignment of Benefits Data Call,” January 8, 2018 (https://www.floir.com/siteDocuments/AssignmentBenefitsDataCallReport02082017.pdf). See e.g., 5 Highlands Insurance Company v. Kravecas, 719 So.2d 320, (Fla. 3rd DCA 1998); One Call Property Services, Inc. v. Security First Insurance Company, 40 FLW D1196 (Fla. 4th DCA May 20 2015). Testimony by Florida Insurance Consumer Advocate Robin Westcott at Homeowners Policy & Claims Bill of Rights Working Group, July 17, 2013. OIR Commissioner David Altmaier, House Judiciary Committee testimony, November 14, 2017 (http://thefloridachannel.org/videos/111417-house-judiciary-committee/). Sun-Sentinel, “Some insurers restricting new business, renewals in South Florida,” June 26, 2016 (http://www.sun-sentinel.com/business/consumer/fl-insurers-sofla-market-share-20160626-story.html). Barry Gilway, President & CEO, Citizens Property Insurance Corporation, Opening Comments at August 25th Rate Hearing (https://www.citizensfla.com/shared/press/documents/2016RateHearingKit.pdf). Peter Schorsch, Florida Politics: “Assignment of Benefits a Bonanza for Trial Lawyers and Vendors, Bad for Consumers,” March 26, 2015 (http://floridapolitics.com/archives/20902-assignment-of-benefits-a-bonanza-for-trial-lawyers-and-vendors-bad-for-consumers-2). Consumer Protection Coalition “At-a-Glance,” website as of November 13, 2018 (http://www.fightfraud.today/). Testimony by Jay Adams, Chief Claims Officer, Citizens Property Insurance Corporation at Insurance & Banking Subcommittee, Florida House of Representatives, February 9, 2015. Letter from by Joseph L. Petrelli, President, Demotech, Inc. to Insurance and Banking Subcommittee, Florida House of Representatives, March 17, 2015. Insurance Journal: “Demotech Suspends Florida Insurer Rating Criteria; Says Downgrades Coming,” February 7, 2017 (https://www.insurancejournal.com/news/southeast/2017/02/07/441177.htm). Insurance Journal: “Florida Property Insurers Largely Avoid Downgrades, For Now: Demotech,” March 17, 2017 (https://www.insurancejournal.com/news/southeast/2017/03/17/444778.htm). Insurance Journal: “Special Report: Execs Warn of Impending Florida Market Crisis Over Water Loss Claims,” May 3, 2016 (http://www.insurancejournal.com/news/southeast/2016/05/03/407257.htm). § 324.022, F.S. and § 627.733, F.S. Chapter 2012-197, Laws of Florida. Office of Insurance Regulation: “Report on Review of the Data Call Pursuant to House Bill 119 – Motor Vehicle Personal Injury Protection (PIP) Insurance,” January 1, 2015 (https://www.floir.com/siteDocuments/HB119DataCallReport.pdf), p. 41. Bousquet, Steve, Tampa Bay Times: “Car insurance rates skyrocket in Florida as crashes mount on busy roads,” May 20, 2016 (https://www.tampabay.com/news/politics/legislature/car-insurance-rates-skyrocket-in-florida-as-crashes-mount-on-busy-roads/2278234). Elmore, Charles, Palm Beach Post: “Car insurers hike PIP up to 54%, but lobbyists pump brakes on repeal,” February 9, 2018 (https://www.palmbeachpost.com/business/car-insurers-hike-pip-but-lobbyists-pump-brakes-repeal/P4wQaUAy1qSrp8MGXr1OfP/). Florida’s Integrated Report Exchange System (FIRES), Quick Stats 2015 and 2017 (https://firesportal.com/Pages/Public/QuickStats.aspx). Elmore, Charles, Palm Beach Post: “PIP lawsuits explode to record,” February 23, 2018 (https://www.palmbeachpost.com/news/pip-lawsuits-explode-record/Jhbp8XBsvvBsuS0yXXsMwK/). Harvey v. GEICO General Insurance Co., No. SC17-85, So.3d. Prussen Spears, Victoria, Property Casualty 360, “IRC estimates Florida 3rd-party bad faith costs at $7.6B over 12 years,” Septmeber 25, 2018 (https://www.propertycasualty360.com/2018/09/25/irc-estimates-florida-3rd-party-bad-faith-costs-at/). See e.g., H.B. 909 (2013) by Wood; H.B. 669 (2015) by Tobia; H.B. 7015 (2017) by Trumbull. See e.g., SB 150 (2018) by Lee. Lehmann R.J., R Street Institute: “Addressing Florida’s Assignment-of-Benefits Crisis,” February 2018 (https://www.rstreet.org/2018/02/05/r-sheet-addressing-floridas-assignment-of-benefits-crisis/). Are States the Appropriate Policy Playground When It Comes to Privacy? 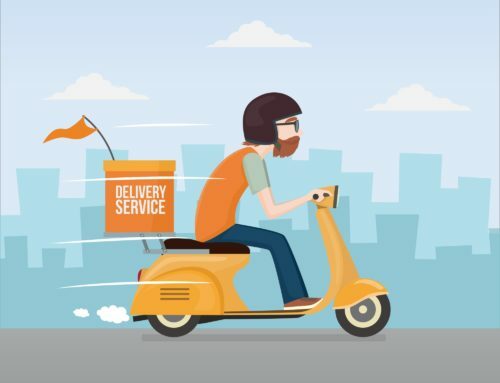 Dockless Scooters Around the U.S.